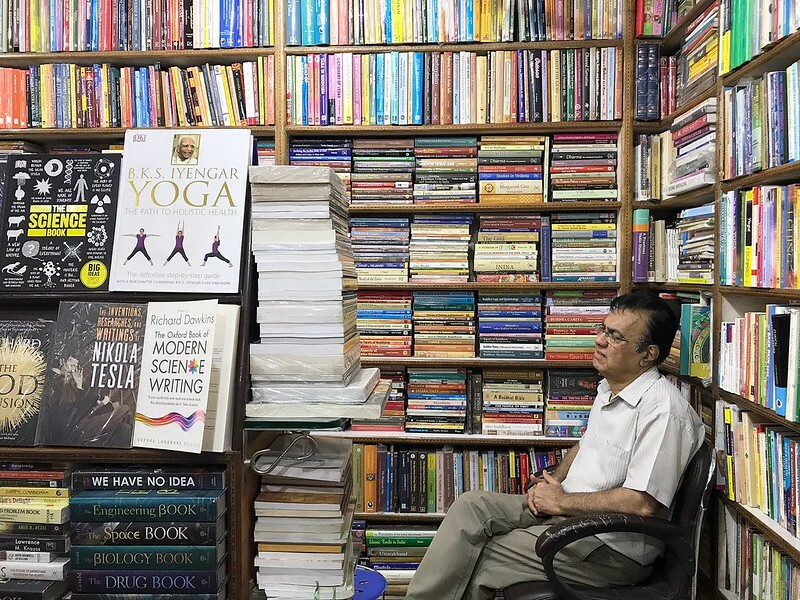 In the age of electronic bookselling, an independent bookstore at Connaught Place is a rarity. 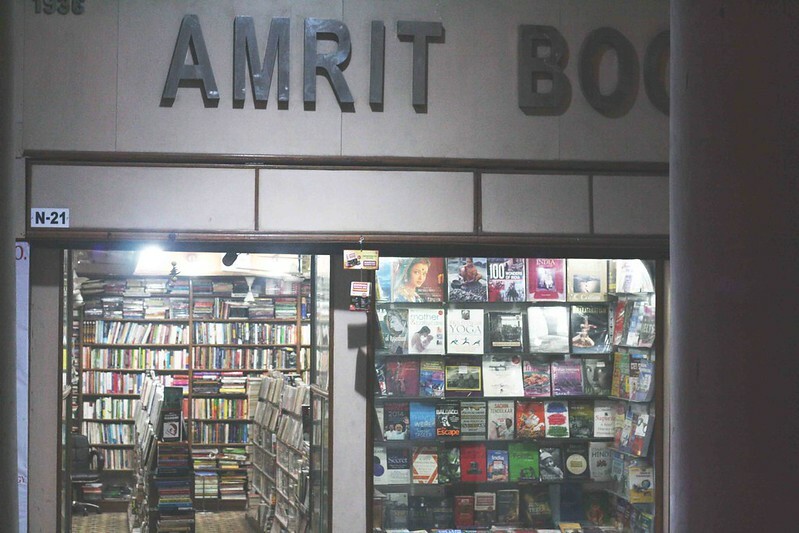 As one of New Delhi’s few surviving book shops, the Amrit Book Company is very much a family enterprise, launched in 1936 by Punjabi immigrant Amit Dhar Nullay. 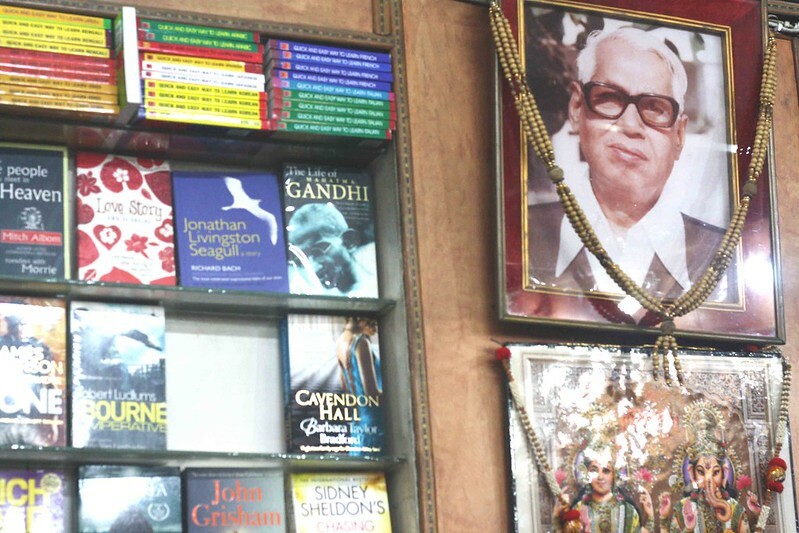 His portrait hangs above the counter, while his son Prem has managed to keep the inheritance alive even as most CP bookstores are long gone. 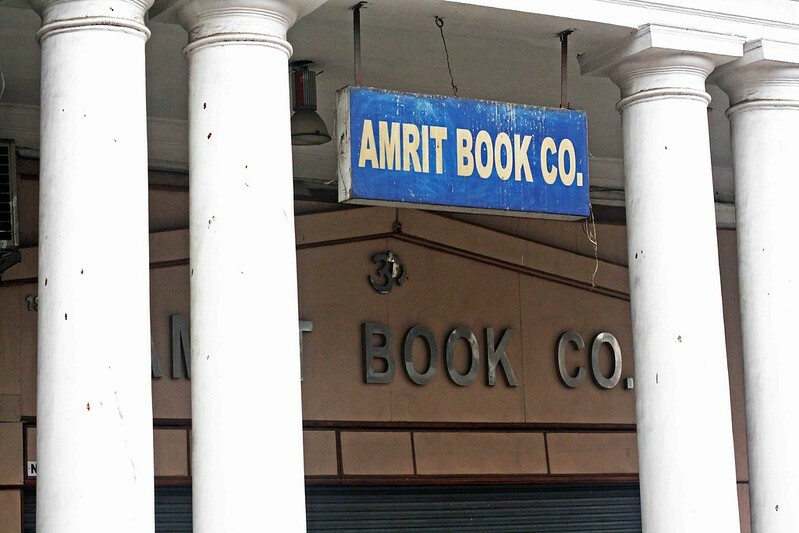 Amrit Book Company, along with Jain Book Depot, are New Delhi’s oldest surviving shops. 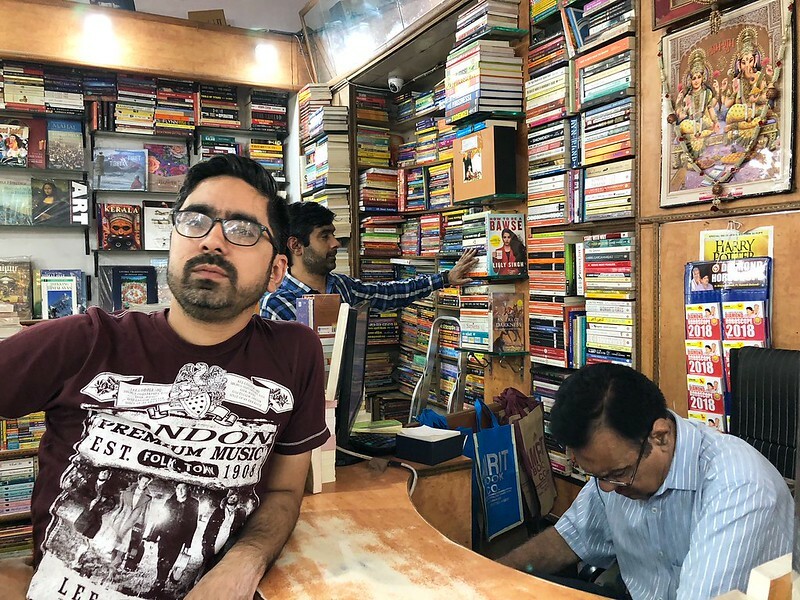 At Amrit, I have often heard potential customers talking to each other over bookshelves — once we eavesdropped on a heated debate about Salman Rushdie vs Vikram Seth. 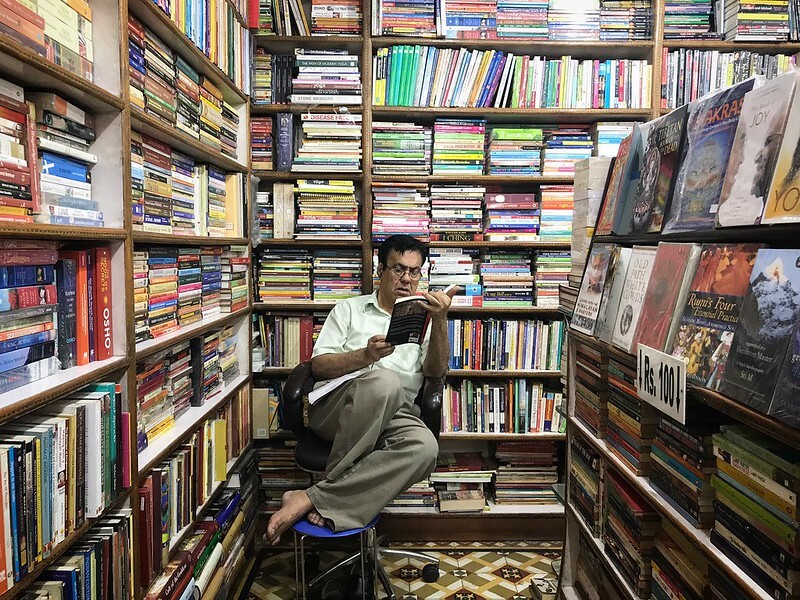 Somehow it’s comforting when a real person, and not a software program, helps us decide which books we might consider purchasing. 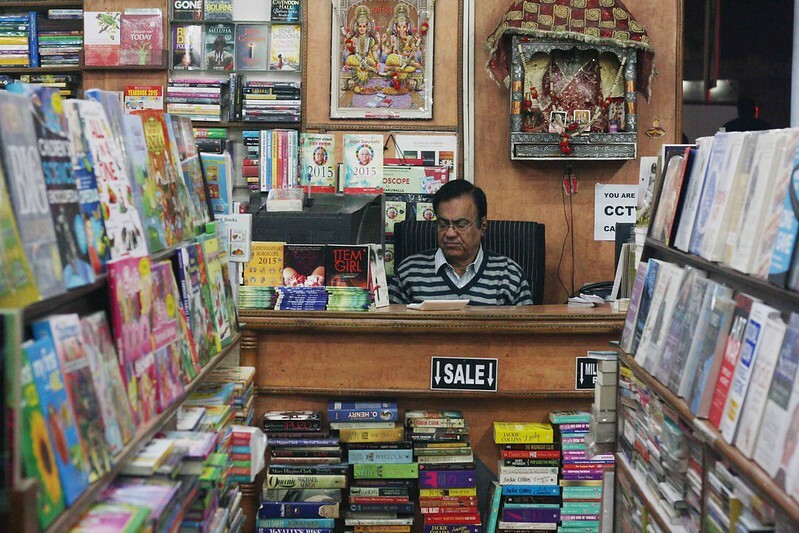 Shop assistant Raju Pandey, for instance, makes his presence barely perceptible until you need some help. 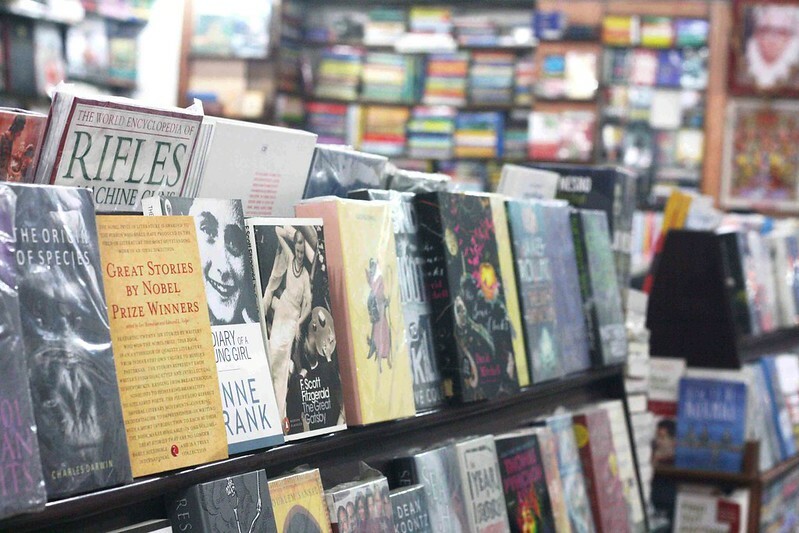 Expertly informed on literary matters, he’s been advising browsers in the shop since 1992. 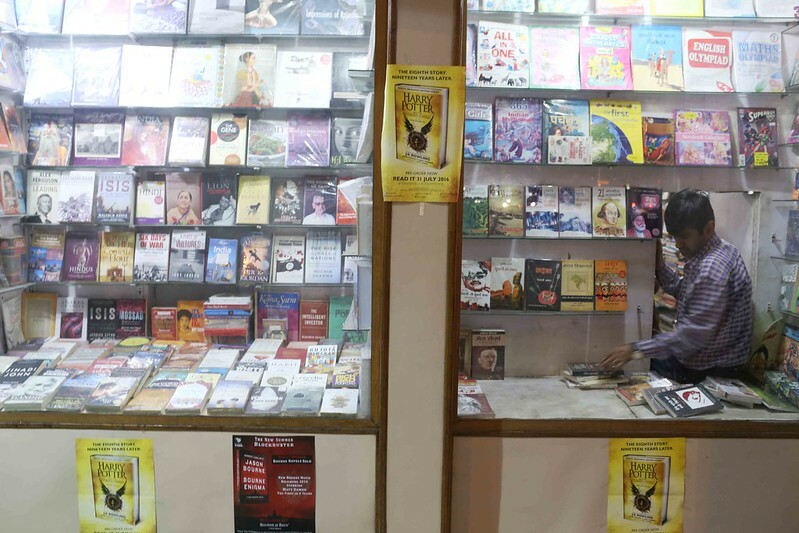 Competing bookshops at Connaught Place are long gone. ED Galgotia & Sons and The New Book Depot—which stood adjacent to each other—have been transformed into a sprawling H&M emporium. 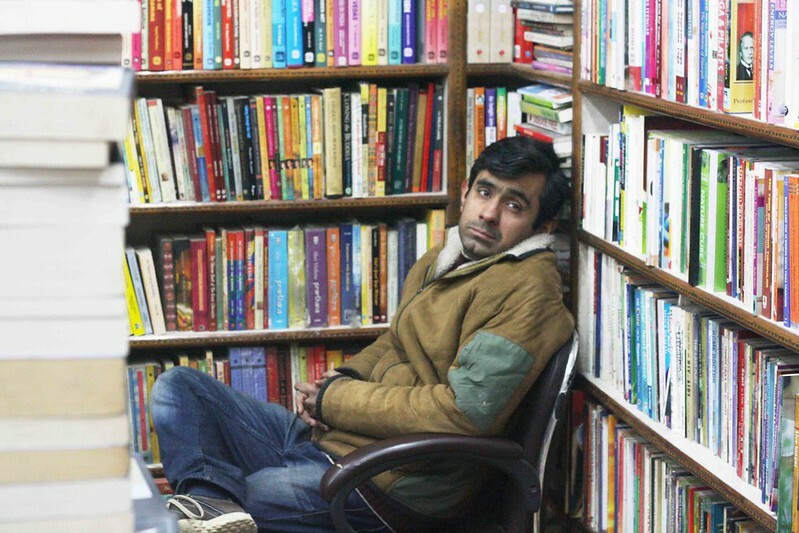 Amrit lurches on like a strong-willed survivor.